Bouchon Bakery Book Project: Bake With Us! 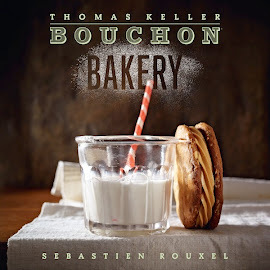 We invite fellow bakers to join us as we bake our way through Thomas Keller’s Bouchon Bakery Cookbook. Have a copy of the Bouchon Bakery Cookbook and something to take a photo with so we can see your results. A blog is not required. Note: We will not be posting any recipes from the book as we would like to support Thomas Keller and the sales for the book. However, if other media sources have received permission to re-print them online we will share links in the weekly posts. We will do a one recipe each week. A monthly calendar is available so you can follow along. You are not required to do every recipe. Participate based on what recipes are of interest to you. E-mail us by Saturday, a photo and link to your blog post. We ask that you refrain from re-printing recipes as we would like to support Thomas Keller in the sales of the book. If you do not have a blog..
E-mail us by Saturday, a photo and a few comments of what you thought of the recipe. On Sunday, recaps will be posted on our blog and Facebook page. We welcome your feedback at any time. Feel free to do a previous recipe and we will simply add to the existing posts. If you skip ahead, please submit once we have reached that section.